The Quality Assurance Validation Scheme (QAVS). Society of Homeopaths (SoH) Course Recognition Process. The British Accreditation Council for Independent Further and Higher Education (BAC). Additional information about training as a homeopath and choosing the right course for you, can be found on the ‘Which Homeopathy Course’ website. The Centre for Homeopathic Education offers a unique education in the art and science of homeopathy. The Centre offers a four year part-time and a three year full-time course, both of which have been validated by Middlesex University awarding students the degree BSc(Honours) Homeopathy on successfully completing all parts of the programme as well as being awarded the Licence of the Centre for Homeopathic Education on graduation (LCHE). The Centre was created as a natural progression in the evolution of homeopathy integrating both Classical and Practical methods thus providing a more rounded and appropriate training for future practitioners. The CNM was established in London 1997. Since then, 10 more colleges throughout the UK and Ireland have been added. The strength of the CNM Homeopathy training is that our students have been thoroughly trained in biomedicine, focusing on Differential Diagnostics, Red Flag Symptoms, etc. Our Homeopathy students also have a good basic understanding of Nutrition and other therapies such as Herbal Medicine and Acupuncture (this helps to refer patients if needed). After completing the Foundation course, students embark on their Speciality of Homeopathy, Herbal Medicine or Acupuncture. The Homeopathy training is classical, hands-on (400 clinical hours) and is taught by experienced practitioners. After qualifying with a diploma, Homeopathy students can embark on a MSc program via distance learning with the Australian University CSU (Charles Sturt University). Most of our students take part in a 3-4 week intensive training at a Homeopathy hospital in India. A CNM trained Homeopath knows their remedies and has gained enough clinical experience during their studies to give additional nutritional advice to patients. The College of Practical Homeopathy (CPH) provides accredited flexible professional training programmes that lead to a Licentiate Certificate (full entry level to becoming a homeopath in UK) qualifying you to register with a professional body and run your own homeopathic practise. Our Health Factor short course  (3 modules) is an introduction to health and healing for you and your family & could lead to a new career in the complementary health sector. If you are thinking of becoming a health practitioner this course will help you decide what is right for you & could save you a small fortune. The 3 level Professional training is for those who have already decided to qualify as a homeopathic practitioner and want to be able to meet the demands of 21st Century patients. If you are already a qualified health practitioner then our unique post graduate  course is the most cost & time effective way of  adding homeopathy to your existing skills (counts towards your CPD requirements and is a tax deductible expense). The college has a practical vocational approach offering a unique practitioner development module, an integrated syllabus and a dynamic clinical practise that leads to confident and competent practitioners. Our high quality courses are the most time & cost effective ones available to become a qualified homeopath. We are recognised by all the professional bodies and are the only college that is independently accredited by the British Accreditation Council and the Homeopathy Course Providers QA Scheme. CVH is a small and friendly, yet focused, college, where the students benefit from the high level of input they receive from all the tutors. The small year groups mean that tutors can ensure the students understand all areas of the curriculum and if necessary give one to one support. Our curriculum ensures a balance of practical and theory. CVH’s courses revolve around practical application of treating patients alongside a solid understanding of philosophy and the principles of homeopathy. CVH offers a thorough grounding in all aspects of case work from taking cases, both chronic and acute, analysis, choosing appropriate methods and repertorisation to prescription. We offer high quality teaching from our permanent tutor team, whose aim is to inspire students and support them in developing their individual style as a homeopathic practitioner. We value each student’s unique life experience, recognising that it is the combination of every individual’s contribution that enriches the learning for all. The Hahnemann College of Homeopathy, established in 1980, is one of the leading teaching organisations for Homeopathic Courses. Conveniently situated next to the High Street in Slough with free car parking facilities. The college is recognised by the Homeopathic Medical Association of the United Kingdom. The college is currently offering a two year Diploma Course and a one year Post Graduate Course in Homeopathy. The college has within its national academic staff, highly qualified and experienced Homeopaths supported by visiting lecturers of international fame. The college OPD also provides practical training to all students, thus preparing them to serve the community with good knowledge and confidence. confident capable professional practitioners.This course is fully recognised by the Society of Homeopaths from November 2007 and by the Homeopathic Medical Association. Award winning, accredited, inspirational training. 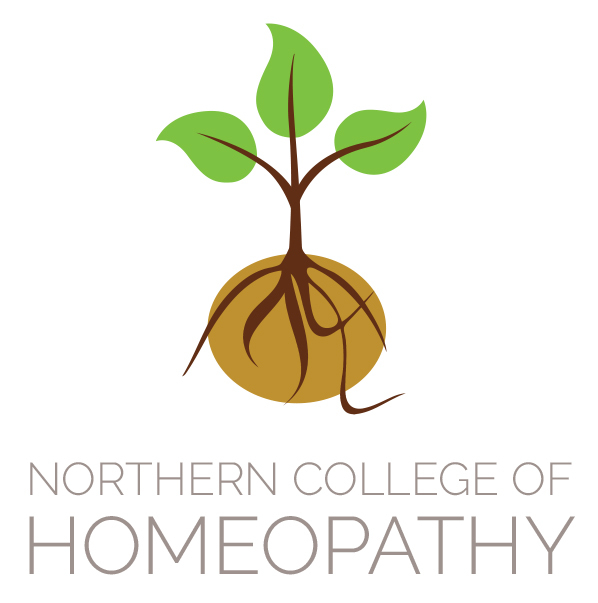 The North West College of Homeopathy is a friendly, professional centre of excellence for homeopathic education. Based in Manchester since 1984. SHC has a contemporary and professional course with high clinical standards, tailored to meet busy life-styles. The comprehensive programme runs over four years, leading seamlessly into professional practice and registration with a professional body. Graduates are awarded the Licentiate of Homeopathy from SHC. Each student’s learning is encouraged and nurtured in small classes with continual assessment and a dedicated tutor. The college atmosphere is a professional home where like-minded people can participate equally as they follow their passion for homeopathy. The course is run on cooperative principles and is fully recognised by The Society of Homeopaths at the new higher profession standards. Contact name: June Sayer D.Hom(Med), MARH, D.N.Th.,D.Iridol, FNTP. Homeopathy, Nutrition, Iridology & Reiki. A powerful combination towards health. Sayer Complementary Health is based in Southend on Sea, Essex where we teach our students as well as running our administration and complementary health centre from the same address.We offer a vocational course to students in a relaxed and friendly manner encouraging student interaction where practical and whilst our aim is to provide a course that is founded on sound homoeopathic principles as taught by Samuel Hahnemann, we also ensure our students are aware of the newer ideas that are being presented so that by the time they graduate they are confident, competent homoeopaths.Anatomy & physiology, pathology and disease are incorporated within the course material and link in with the teachings of the remedies of the homoeopathic materia medica and case taking. The relaxed, friendly atmosphere of our college encourages students to reach their full potential as they undertake the serious study of homoeopathy in a structured yet enjoyable manner. The School of Homeopathy was established in 1981, we are the longest running homeopathy school in the UK and for many years have been recognised for clarity of vision, for precision in homeopathic prescribing, and for professionalism. It is our passion for advancing and spreading homeopathy to the very highest level that has given our programmes a leading edge and helped to create a national and international benchmark. Watch the movies on our website to see the School and see what student and teachers have to say. There are three easy ways to take our courses; attendance, correspondence and e-learning. Regardless of student method our courses are recognised by the Society of Homeopaths. 4 Year: Homeopathy Practitioner Advanced Diploma Course. In the UK we offer the unique choice of: part-time attendance or distance learning. 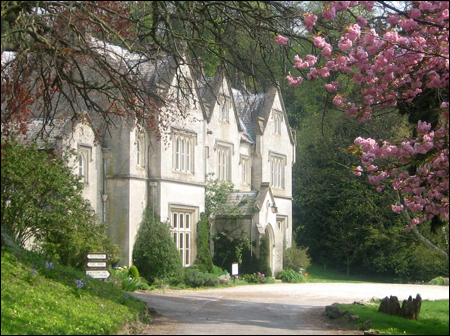 The School is based in the beautiful Cotswolds – just 90 mins from London on the train. Attendance study is one weekend a month ten months of the year, with excellent student support & supervision. For more information about our courses please call for a free Prospectus or to arrange a visit. Students gain over 250 hours of clinical observation through video cases that are integrated into the course as assignments or example cases. The School of Shamanic Homoeopathy runs courses for a new style of spiritual Homoeopathy, teaching an integrated approach of homoeopathy, with Western herbalism, flower essences, crystal therapy, astrology, healing, meditation, and shamanism. There is also a strong emphasis on anatomy and pathology, integrating th Western medical viewpoint with esoteric, Traditional and Chinese medical and Anthroposophical medicine viewpoints. Clinical Training: 100 hours minimum clincal training time is achieved over the programme, and includes supervised student clinics, attendance in tutor led clinics, supervised students case-taking and clinical cases. Length: 4-year course part-time course length, comprising of 10 weekends of tutorials, attendance per year for 4 years, with additional clinical training days. We are a part-time, 4 year course (10 weekends a year, plus directed home-study) based at Bishop Otter campus in Chichester, West Sussex. The qualification awarded on successful completion of the course is that of Licentiate (SDSHOM) and the college is recognised by the Society of Homeopaths. Now in our 18th year, we currently have more than 20 enrolled students. The school is run by Principal Robin Hayfield, with a team of 11 regular staff and many visiting lecturers. Clinical training (Years 3 and 4) involves in-house supervision (every college weekend) and attendance at the school’s student-run clinics in Brighton and Chichester. With increasing numbers of people becoming aware of homeopathy as a therapy, the demand for quality homeopathic education is on the rise. We offer an excellent Practical Homeopathy curriculum, which is delivered by highly qualified and experienced tutors. Students attending the Southern College of Homeopathy will quickly grasp the concepts and methods of using homeopathy, gaining the ability to understand the body systems in health and disease, and eventually become equipped with the skills to become a confident, professional and effective practitioner. We offer a broad based curriculum, integrating homeopathy with herbs, flower essences, chakras, nutrition and the new remedies. A professional three year part-time training course, with an optional one year post graduate course which concentrates on building and developing your practice. Established in 1988. Providing part time professional practitioner training courses in London and Birmingham. Healing is about becoming whole. Homeopathy is an energetic experience, an energetic exchange between practitioner and client, not just an intellectual process. What we hold in mind affects the outcome of any remedies that are given. The esoteric information that is shared and explored is deeply grounded in its practical application and is utilised through personal experience, not just theoretical understanding. ‘Physician, heal thyself’ is an ancient wisdom. It tells us what is needed before we can help others to heal. Being a homeopath is not just about what you know; it is about who you are. We explore the potential for healing, for becoming whole. We investigate the nature of the blocks and barriers that limit this potential and leads to disease. We discover how to process, to release, to heal, to become more whole. The body speaks to us through disease processes. Understanding its language is informative, exciting and revealing. We offer a safe place for your soul to heal during your transformational journey to be a homeopath. It is an open, fun environment in which to learn. Creating a safe environment will begin right from the start of the course. We support you to find your own way of prescribing and helping others to heal, as well as honouring and teaching a deep understanding of traditional and contemporary homeopathy. We will share the magic of homeopathy with you and teach you how to use it wisely.